Your game is so fun, I played it for over an hour! Best tycoon game ever! If the game actually loads I am unable to do anything at all. It just sits there and doesn't do anything. Looked fun but I guess I won't ever know. This app is awesome!,because it doesn’t make you watch super loooonnnngggg adds,but I would like it if it were a bit faster, Besides that it’s an awesome app!!! Game doesn’t work, can’t play. GAME STILL DOESNT WORK. CANT DO ANYTHING! I was hoping this recent update would fix it but no. I originally rated this 5 stars but they haven’t fixed anything. I can’t move or click on anything. Emailed and left positive review but no response or anything. The ads I’m forced to watch to progress anywhere keep crashing when I close them, wasting my time because I don’t even get my reward. Sat for over half an hour and the amount of money I had didn’t move at all. Another pay to win game. Would be a good game but it’s stuck in one spot and won’t go anywhere all the cars come and go but I can’t move the screen at all. I even uninstalled it and then reinstalled it and it does the same thing. THIS IS SO FUN!!!!! You can do whatever you want and leave the game on and you when you come back you will at least have 1m $! The game was great until it froze mid screen. I’ve tried closing the app and reinstalling with no change. I’ve emailed the support team and reached out over Facebook with no reply through either channel. Not worth the time. I played this game for a day and now it won’t let me tap on anything. All it lets me do is zoom in and out. This game doesn’t force you to watch ads, but if you want to earn extra money or money faster, you have to watch the ads. -The VIP customer arrives and will give you extra money or gems if you watch an ad. -A bus will bring extra customers if you watch an ad. -Your department workers will work faster for 2 minutes if you watch an ad. -Your cashiers will work faster for 30 seconds if you watch an ad. I had the game for about 72 hours and probably watched about 4 hours of ads in that time. Then I deleted the game to save my sanity. Really fun game that I have, admittedly, spent hours on in one sitting. As of today, however, I am unable to collect money from the customers in my supermarket! Please fix this bug as the reviews are dropping day by day to this issue alone. This is a great game. Addicting, fun, and seeing your progress throughout is super satisfying. The reset mechanic of upgrading is great, and watching your progress go way faster than the previous stage gives a great feeling. My only problem is that if I watch an ad that is interactive, the game will occasionally glitch and crash. This sets my progress back to the beginning of my play session. Which is super frustrating especially when I’ve been playing for 15+ minutes. Overall, it’s a fun game that I would recommend, but fixing this glitch would be super helpful. Great game until it crashed. This supermarket game is very fun. I love that there are VIP customers that give you stuff. If I had to give this game a grade I would give it a A+. Couldn’t even play it. It wouldn’t respond to anything deleted it and downloaded it again and still nothing. I downloaded it four times and it’s not even moving working and I would love to enjoy it but I can’t. Fun game but glitches here and there. And now it’s completely frozen. I opened and closed the app, deleted and reinstalled the app, and it’s still frozen. I can’t move the screen around. Only zoom in and out. Please fix! I’ve been playing this game everyday for almost a month now and it’s become a favorite. My only problem is that ads sometimes do not work. Say I want to get the 2x bonus, it won’t load the add or if it does the timer won’t start. Even the vip costumers ads won’t work sometimes. Great game but bugs need to be fixed. Everything about this game i love. I recommend it to everyone. you won’t be disappointed i promise. But there’s one thing i wish you could do. I wish you customize the name of your “supermarket” or what seems to be a mall after a few upgrades. This game is so much fun. I play every day and I’m almost maxed out on everything. Also when the VIP customer shows up you get like a trillion bucks just for watching a 10 second add. Speaking of adds, I love how they give you an option to watch them, unlike most games. It is pretty easy to figure out. Once you get the hang of it, it’s pretty fun. I would highly recommend it to anyone that doesn’t like adds and likes a quality game (pretty much everyone). BEST GAME IN THE WORLD!!!!! This game super fun I absolutely cannot stop playing this game!!!! 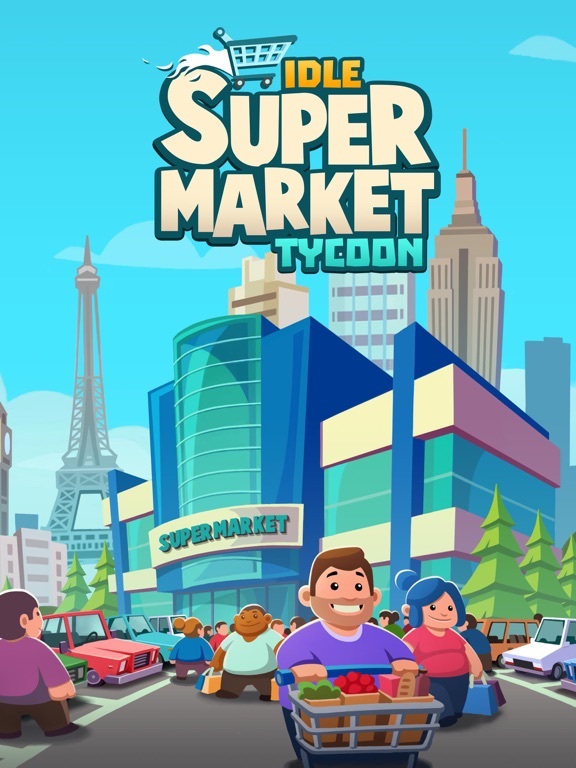 Once u have a big supermarket u will have the time of your life.When u have a small supermarket u will be determined it’s a good feeling btw.You should definitely get this game! Lots of people r saying that progress is slow. When u get to Miami it does go slower then usual, but after a day or 2, it’s fast progress. I haven’t had it for long and I’m on Paris. I love the concept of the game and it’s designed in a fun and friendly way but I don’t like the direction the developers went with gameplay. This concept has so much potential to be a fun management game but the devs went the easy route and turned it into a mindless clicker instead. It could use more depth and strategy but I guess you get what you pay for at the price of free. I love this game. It’s fun, it keeps you coming back. Allows you to earn enough without having to pay actual money by watching 15- 30 second ads if you want to speed up the game. Although spending money does enhance the game. I love the amount of departments & new locations. I do think more shops should be added as well as locations. 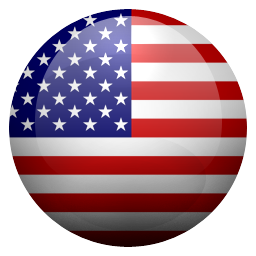 My ideas are maybe like each state you can upgrade through all the way to international, will keep the player excited & keep the game going longer. Shops being added I think would lengthen the game & have more to work towards. Basing off an actual supermarket they have a candy section, dairy, household products, alcohol, international food section (Vietnamese, Chinese & Mexican Foods & Goods), a shoe department separate from clothing, kids toys, baby department, recreational (fishing, hiking), hunting department, auto care facility (oil change, tire change), personal care, home décor, home appliances, health & medicine, a pharmacy, vaccination department, it varies per store but we always have a fast food place, hair salon & nail salon. We also have a department for pick ups, customer service & returns but I’m not sure how the users would like those aspects. All ideas to think of depending how far you want to take the game. I love it how it is but can see a ton of room for improvement. I love playing this game when I am bored because it is super fun and enjoyable mostly because it is relaxing! I like the game a lot but most of the times I watch a ad and get logged out and lose all the stuff I got from the ads I watched may you please fix this issue? The game is absolutely great, but as you go to higher cities the upgrades, get so expensive and it’s so hard to progress. Once you’re able to afford the Real Estate Agency the game becomes extremely slow. 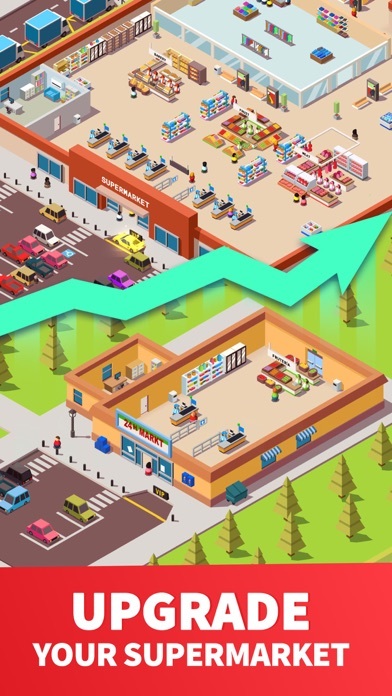 In the first half of the game you were able to save up and buy a new shop and that skyrocketed your income, but once you have all the stores you have no way of increasing your income quickly. I bought the ten hour pass and I’ll get back on the game after sleeping and I’ll even triple my coins and I’ll have enough money to make, at the most, 3 upgrades. I absolutely lovveeee ❤️ this game!! It's amazing. I play I 24/7. The real reason I am writing this is because I need more. The thing is sometimes there is nothing that I can do. It just gets boring. So I was thinking that maybe you( the developer) can add other stores to make larger sizes of income. The money I run out of easily, and maybe instead of adding that things inside the store make other stores in one place. Hopefully that make sense. Thanks! !😜😜 Fav emoji- 😅😅😅😅😅😅😅 This is the second time I am writing this is because I bought the small town. I do think that people should get it but when u get the small town or any other towns, you lose all of your hard work on the other store. U just lose it!! Now I am angry 😡 very angry!! I wanted to go back, but I CANT!! Still I think u should add that they can keep your work and money. I agree with anyone that thinks this. Please accept this, and do it!! Ads sometimes cause force close. Some ads cause game to force close and sometimes resets game to last sign in. One of the best games I have ever played in my life! Look,You have done an excellent job with this game.You have taken care of it, Treated it like it cared. I have played a lot of REALLY bad games and some were good. But this one mixes the right amount of addiction, recursion, and time consuming to perfection. The concept is simple, but fun! This is what a tycoon should be. And I was very happy not seeing an ad every 30 seconds like my goodness this is new! I would personally recommend this game! The game is very fun. But for some reason I am unable to play it now. It now loads up as usual but when the market comes up on the screen I am unable to tap on anything. Cars and customers still come to the store. It’s just unresponsive. I love this game and it is super addicting. BUT, you spend more time watching ads than actually playing the game itself. I would like it way more if there were fewer ads so there was more time for me to spend actually playing the game. this app is pretty good. designs are nice, the small details, everything. however, let’s talk about the VIP rewards. i had a VIP come in, park, you know, the usual. but when i had tapped on it to see the reward i would get from watching an ad, it said 0 diamonds. 😂😂 i was confused, but it was funny to see. other than that, everything is amazing about this app. thank you for this! Really good game, I love it and it's very addicting. My only problem is with all of the tapping when I change cities. I don't like tapping 10,000 + times and starting over every time I upgrade. I know that some people love that type of game, but it turns the relaxing experience into a cramp filled one. Fun game, but don’t upgrade your store location. I upgraded from Residential to Small Village and prior to the upgrade had double the amount of cash needed to upgrade to the Small Village. Once I upgraded to the Small Village, I lost all my progress and money and started with $100 in the Small Village. It says that I “sold” the Residential supermarket yet I walked away with no profit and half my money gone? This is such a good game, they don’t force ads on you which is really relieving and not having to worry about buying no ads feels so good and it’s actually a quality game !! The game is AMAZING, except for one little thing. How do we get ♾ supplies? If you guys could add a mini game to get more supplies, then this game I tell you, will be LEGENDARY!!! Listen here Idle games 🤨 I AINT dumb. I see you guys sneakily put in the Simpson’s house in the game. Very nice easter-egg. The only way to legitimately gain money is by watching an ad every time you log on. I love this game but certain ads make the game crash. I’d be okay if it crashed and it picked back up where I was at last, but it doesn’t. So it’s annoying upgrading everything, then getting back on and it all being gone. Ad videos are not working. Constantly having issues watching the ads for additional income. It will kick me back to the supermarket screen. This happens when I try to watch the VIP customers videos as well and the customer will drive away as if I had selected the “No Thanks” options. VERY irritating. Love this game but got some reason it’s not letting me install the electronic department for 1Q when I have over 5Q and am located in a small city. Not sure why but it’s making expanding my store difficult. Before this though, very fun! This game is very fun and addictive. There are only ads if you chose to get more money! I love this game and saw it on an ad. It looked like fun so I tried it. It automatically builds the stores for you so you don’t have to!Would totally recommend to all you! So I am on the Small Village level. Everytime I try to watch an ad to get money from the VIP or bring in extra customers from the bus or anything like that, I click the icon to watch an ad. When I do so what it just acts like I clicked no thanks. So it won’t let me get the money or anything. What is going on? I love this game so much and I play it so much, but there’s one thing that I’ve noticed. 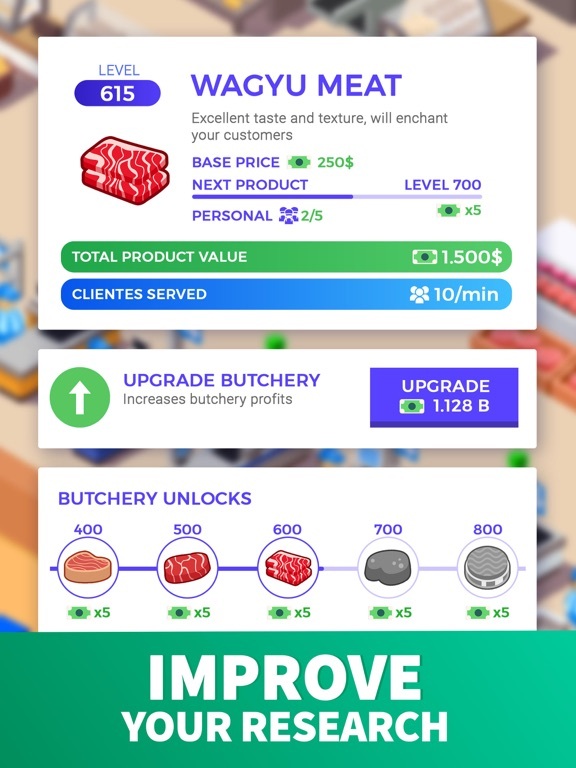 When you upgrade say your produce section or bakery it takes forever to get it to a good level, especially the more you prestige. An amazing addition would be where you can upgrade more than one level at a time. It would be great to add an option to upgrade ten levels at a time or even fifty or one-hundred. Just a quick little thing that I would personally enjoy, overall an amazing game and I love it to death. I’ve already recommended it to my friends! Great game, way too many ads. I downloaded this game about two days ago and have been playing it on and off. Overall fun strategic game, however, every time you want to do something you have to watch a 30-second ad. Gets old real quick. I love this game now! I love how ads don’t just pop up and I love how the game is set up and everything and I highly recommend! In long car rides it’s fun to play! The only thing that involves ads is when u want to earn gems or money! Highly recommended for ppl who might be bored! i love this game, from the day i downloaded it i haven’t been able to stop opening it up and collecting money and advancing in the game. however it gets repetitive with the tapping. I have found myself getting tired from tapping on the game, especially when one of the shops can upgrade up to 500 in one sitting. I was just wondering if there can be a new update with a button that we could push to buy in bulk (ex: buy 10, buy 100, buy as much as possible, etc) but that’s really it, other than that this game is awesome! In the beginning the game is great. Eventually as you progress however it just gets wayyyyyy to hard. The biggest item that turns me off is the 2 hours of offline production and only by paying real life money can you get up to a max of 10. I haven’t found a way to increase is beyond 2 hours. Without a bigger increase it will take me months to progress very little. It just isn’t worth my time. I cannot log in every 2 hours to play. Nor do I want to spend months upgrading the top items enough to advance. I don’t mind watching the ads to get a little extra cash but to even think about advancing at all I would have to watch ads nonstop all day long. That I cannot do. Please think about these things or you will lose a lot of ppl fast when they get to the point I am at. Thanks. It’s so frustrating! The last two days have been full of ads that won’t close when they’re finished. I would lie it to be a bit father performance wise but it’s a cute game. I was having a good time playing this game and I was so close to having enough money for the bakery. But as soon as I did, the game crashed. 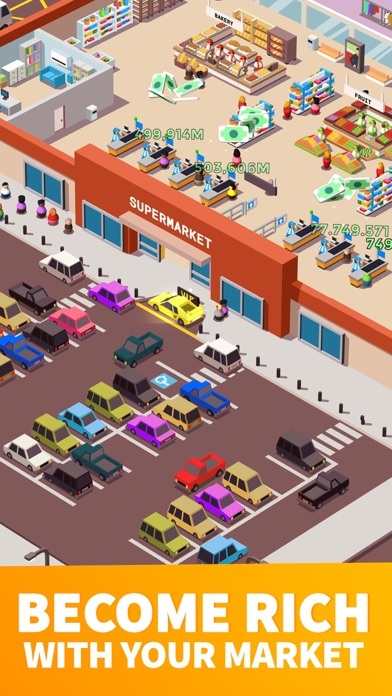 I opened the game again and I was missing 8,000 dollars and 6 parking spots. Love how they don’t force ads on to you, they’re just an option in case you want to earn extra income. It’s nice, simple, and fun. I’m not gonna tell the developers what to put into their game. It’s their own ideas and their own product. I find it unhelpful when people just ask for stuff to be put into the game. I want to know if it’s fun and worth it to play. As for this game, it’s worth definitely worth it. There’s a lot to upgrade. It’s not slow like most games where you have upgrade options and have to wait. You can stay on the game and always have something to upgrade or something to do on it, so that’s a plus. No waits for upgrading. There’s also extra income options by clicking on some trucks on the side of your store. They give you a good amount of money boost to your income. The art design is simple and the music is nice. The music doesn’t get in the way of the game or at repetitive. It’s quiet, so you you don’t notice it as much. The noises in the game are playful making it fun and enjoyable. Finally, you get an option to restart your store and have an income multiplier with it, so you’ll recover the things you already bought 10 times quicker(probably not 10 times, but somewhere around there). This is my opinion of the game and I hope it was helpful to those who are trying to find out if the game is worth it. If the stars on the game don’t do it for you, then I hope this review helps out. Got to the Beverly Hills level, the one before Miami, and unlike what most of the recent comments will say, it isn’t impossible to do so. At first, I thought it would take quite a while to reach the money goal to move on, but I kept playing and upgrading. To progress in this game, all you have to do is come back to the game often, wait, and upgrade. They give you more then enough options for extra things when you watch ads, which in turn massively speed up your production. I was able to reach my money goal in a half hour with the ads that give you the express bonus and the double money from the ad. There are no forced ads in the game as well, which makes having to watch ads for the perks even better. The developers get money and I get perks, fair trade, but I see a lot of people complaining about this even when the money the developers are getting isn’t coming out of their pockets. I haven’t bought enough anything in the game. You do not need to spend real money in the game, and it is fun! I imagine that the last few levels might take quite a while to complete compared to the others, but that’s what idle games are. great game, very fun. In my opinion the things I have discussed make it a much better experience in total. 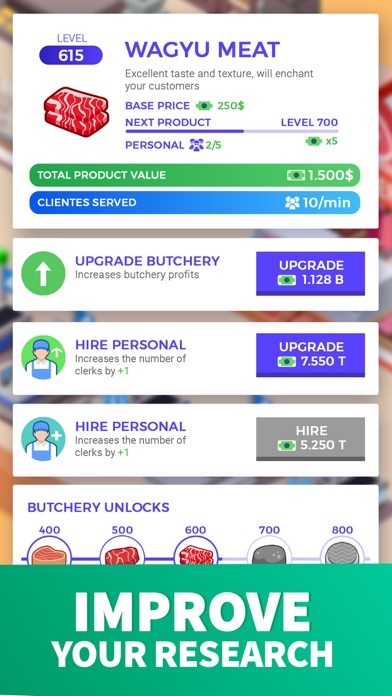 Lots of upgrades, plus when you upgrade it’s not just a stat boost it does up stats but also changes the actual cosmetics of the departments, and products. I love the inclusion of the food trucks as well. They do have a gold membership but you forget it’s even there because they don’t force it on the player. It’s a great Idle game and even with notifications on doesn’t consistently bother you to return like a clingy girlfriend for attention. Ideas I’d like to suggest if the developers ever look at this is maybe in the later supermarket you can gain access to self checkout, or maybe add it Security for the customers who try to steal as a way to increase the dynamic personality of the customers. One more I’d like to suggest is this: So I live in Pennsylvania and we have Giant Eagle, and at Giant Eagle they have a play area/ daycare that parents can leave their kids at so they can shop in peace. So why not add that, a play area / daycare for the parents in the game to drop their kids off at and as you increase the size, and productivity of the employees watching them it can then increase the happiness, and checkout value of the parents Long story short, I love your game a lot and truly enjoy playing it and I hope you guys keep up the awesome work! Progressing impossible due to this glitch! I’ll start with the positive stuff... I absolutely love this game. I love lazy games that don’t show ads every minute or show. I love how lazy it is. And the graphics are really cute. Now for the negative... When you updated it recently everything just stopped working just about. When I open the game and I see what I’ve earned and I go times two multiplier and ad does not show up and I only get the number that was on the screen. Some of those times it just freezes and I have to restart the game completely. If I had to three times multiplier that’s another issue. I lose 20 of those diamond tokens or whatever they are but I don’t get the money just the money amount that’s on the screen. It’s making everything really hard to progress. I’m trying to earn those tokens by doing the challenges and I can’t progress seeing how the game isn’t giving me The money in the beginning. I don’t spend money on games. These types of errors are one of those reasons why I don’t spend money. I don’t need you guys eating up my money and I don’t get the reward. The rewards never come when I do the challenges. You really need to fix those because I am sick of watching ads but getting no rewards. And I’ve had to reinstall the game twice already! This app is amazing. The cheesy, fun tunes, the polygon art style, the bright colors... it makes this game probably one of the best Ive seen in a while. And no, this isn’t a typical Voodoo style game. The ads are nonexistent unless you want upgrades or extra money. This makes the game a lot more attractive, and makes me want to watch ads for the rewards. Yes, you read that right, I want to watch ads. All in all, the game is great and it works very well on my phone(Although that is to be expected of an iPhone XS Max). The problem is optimization. This game is meant to be run on the newer iPhones because it is very processor and battery intensive. I’ve shown this game to many friends, with varied phones. On my friend’s iPhone 6, this game drained his fully charged battery in 15 min! (To give the benefit of the doubt, his phone is pretty messed up). I feel that if the developers were to add optimization for older, slower phones, this app would be an instant hit, and would be on the top charts. I enjoy this game, even spent some money on it. But then the game started closing fairly often when I’d try to play some ads, which is annoying enough (it also causes recent upgrades I made to not remain and have to be done again). Then today after not playing long past the 2 hours of time you get money for while not playing, I open the game but make the mistake of opening my pull down phone menu to change the volume while the game is loading, so then when it finishes loading after that I got no pop up for my money made and didn’t get any of the money itself either. I know that for sure because the amount I had, I ended up making more than in another 5 minutes. So that couldn’t have possibly been all I’d have in 2 hours. Just have to wait again to make the money I need but it’s another big annoyance. I’ve never had problems like this in other games. If the game could be more self sufficient it’d be great, aside from this I don’t think there’s much wrong with it. I have only had this game for around a month and I still play it daily. The fact that it doesn’t force you to watch adds is something that no other games have that I have witnessed. There is only one drawback to this game. It will crash sometimes and I will be set back a bit. Also one of the reasons I am writing this is to say don’t let your phone die while playing this game!! As I purchased Hong Kong my phone died mid animation and completely broke my award system. Once my phone turned back on I was still in Hong Kong but my factory didn’t reset and I cannot collect my gems for buying it and now my income of gems is now broken. This is an overall great game and I have recommended it to my friends. The only thing I say they can improve on is the game crashing and maybe make the game less reliable on the VIP cars. I love this game and I can’t wait to see it grow more. I’ve been playing this game for over 3 weeks now, and I think it’s is an amazing game, I do have a couple of problems though. Starting out the game is very fun, slowly climbing the ranks, all though it’s a slow start it gets way too slow as you progress, the beginning of the game is smooth sailing compared of the countless hours it takes to make significant progress. Sometimes I don’t make enough money to level up my store anymore, and there is nothing I can do but wait a few days for my store makes enough money so I can go to another area. It’s fine that it takes a while to climb the ranks, but it is very annoying when there is nothing I can do but wait, no leveling up my store, watching ads constantly trying to make enough money. This is a huge problem, but the game is too fun to get mad, also take into account that this is a free game, so watching ads is almost mandatory, nonetheless a very good game. This is NOT an idle game. If I reviewed this game within the first few days of playing it, I would of mistakenly given it 5 stars. It starts off fun. Making money, upgrading, etc. So, with that said, I unfortunately paid $15 for upgrades. I wish I hadn’t. The game bugs out with an add, sending you back a lot of money when it crashes. For example, I’m at 632QD, game crashes, comes back and I’m at 420QD. Unacceptable. Leaving the game for a bit and coming back doesn’t yield enough money. You literally have to have your phone/iPad open the whole time if you want to progress. Even if you buy upgrades with gems, I.e. 50% production upgrades, your money does not increase faster. Another example is that I upgraded my electronics for 700 gems. The money per minute stayed the same. How is that possible? I refuse to give this game (or codigames) another dollar. I feel ripped off, with time completely wasted in this game. If I see a game is made by codigames, I will not download it. Congrats, codigames, you scammed me out of $15. Shame on you for your gross misrepresentation of upgrades, and preying on gamers. Love that I’m not forced to watch ads or buy things! I have TONS (and make TONS) of money without needing to purchase anything so that’s a HUGE plus. And I don’t mind watching the ads because I get great rewards out of it. I have only TWO gripes. My departments are all on level 1000, so when getting a store in a new city, I have to tap tap tap my life away to upgrade all of them. PLEASE PLEASE PLEASE add a x10, x100 button for upgrading. My only other issue is one I haven’t encountered, but I foresee it. I feel like I’ll get bored once I get past Paris. I would love it if there were more departments and other issues that arise (i.e. stores needing repairs). Especially other departments though. Can we even add another floor to the market or am I being too ambitious? What about a food court? The Milky Way is the limit for this awesome game. Hope to see more updates soon. Ok, so I do understand that this game is in early stages, but there are a lot of bugs that need to be fixed. A few days before I wrote this review, my department clerks were not serving my customers. All other functions were all working. I had to completely close the app a lot of times before my workers started working again. Or the time, almost right before I wrote this review, I couldn’t buy anything. I understand this might have something to do with my device, But I seriously doubt it. Apart from all of these problems. I do do have some suggestions that might make this game better. 1. 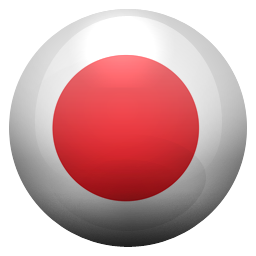 Sushi: In real life, many people love sushi, especially young people. I think that you should make a sushi department. If you didn’t have all the seafood slots full, I would say to put it there. 2. Customizable store manager: I think that players would like if they would have there own character to customize and watch “work” in their office in the bottom left corner in the store. 3. Furniture: If you come across a big mall or store(mini mall in the situation of this game) you most likely come across a furniture area. This department could possibly have kitchen counters, or couches and beds. As you go up in levels the furniture gets more electrical. Like floating couches and other stuff like that. Developers, I hope that this can help you on your journey to total fame. People both praise and complain about the advertising but it doesn’t really matter since unlike most games of the genre they aren’t forced upon you for no reward that’s not my gripe though. There is a system in the game where you can hire a manager for real world money increasing the amount of money you earn while offline. When no money is spent on this the base is 2 hrs of offline earning but can be upgraded to 10 hrs with real world money. At later stages of the game this would be really useful since the rate at which income arrives proves to be ridiculously slow. I wouldn’t have a problem with this system had they had an irl money tag but also the option to purchase an upgrade via in game means such as collecting a high number of gems which are used for many of the other important speed upgrades. Say 3 dollars to upgrade the full manager bar or 150 gems to upgrade the bar from 2 hrs to 4hrs. Make it harder but fair. Tl;Dr the people affected by a bug that didn't let them play the game at all will be the most satisfied customers. Just call it Ad Watching Tycoon, that's all this is. Utterly boring after maybe two cities. Don't play. The overwhelming majority of comments are clearly from the developer. It's NOT an option to advance without ads. It's NOT an idle game. It's the worst grind I've ever seen, and after a bit, even the ads (no exaggeration, it's one every 90 seconds) don't pay off. The climbs from one level to the next are absolutely ridiculous by the time you reach the fifth city. 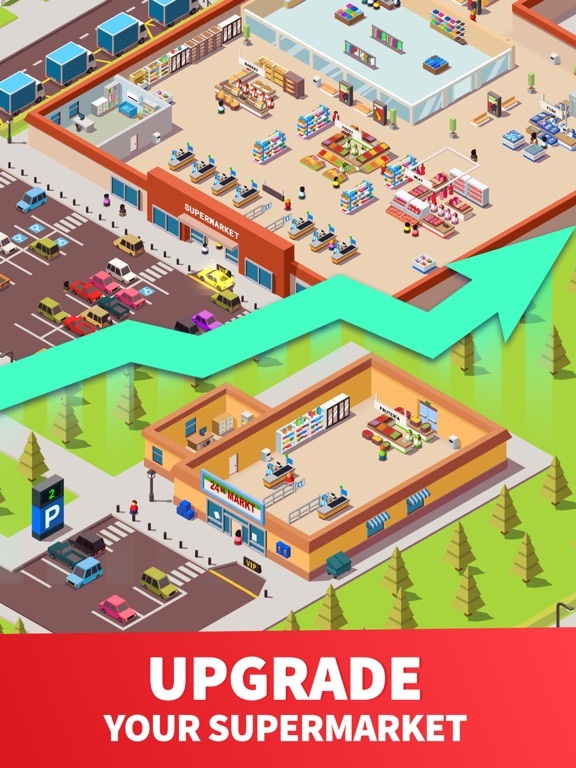 The 10th store makes 98 percent of your profit and the upgrades to it are completely unreasonable. The worst part is the fact you gain nothing at all in idle. The game gives everything to you in a profit-by-minute but your top store collects at the lowest level once every four hours (you can reduce it with boosts purchased with game cash but that realistically gets you to about once an hour). Since none of your other stores make anything, it's basically you collecting cash once an hour, and that one collection gets you about 1/1,000th if what you need to buy the next level, and there is no acceleration. As others have noted, the money doesn't add up either, so idle is basically useless. You are forced to remain on the screen, watching ads every time they pop up, with no other goal in mind than saving money to buy one upgrade an hour. It's a complete waste of time. The game at first was very good and fun to play but then you realized at some point you would be stuck for awhile and I did unlock all of the passives for my market and Now I still staying at one place and collect small amount by days if I want to move to the next location it would take months! And here is the worst parts of this game. 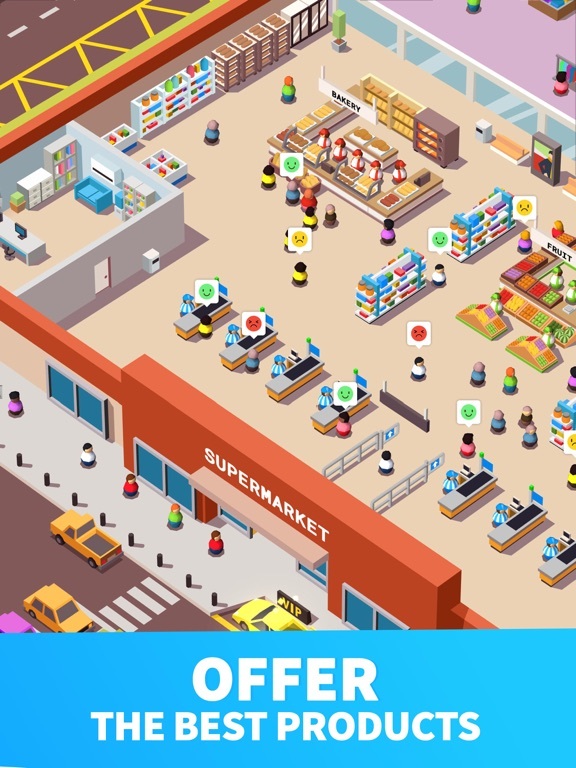 They run by ads you will get these things like random customers will reward you random amounts( that’s cool) but other parts like let say there are a buff for your cashiers and ur shop for 2 minutes to check them out instantly. IF YOU GET KICK OUT DURING WATCHING ADS (you have to watch it to unlock the buffs) ALL OF YOUR PROGRESS WILL BE REVERSED THAT IS SO LAME back to 0 and you can get free gems BUT THERE IS A CATCH YOU HAVE TO SURVIVE WATCHING 6 of THEM IN A ROW WITHOUT GETTING KICKED OUT To earn it ????????? Seriously I’m paying and supporting for your game and I get this ? Fix this or I will stop playing this in future and paying for this! I will say this is one of the more we’ll done business like running game I have enjoyed and wish there was more like it. I enjoy the funky items and description and while you upgrade you get to see the changes made once you hit the next tear. I also feel the balance is pretty good between buying with real money or biding your time till you have enough. The only reason I didn’t give 5 stars was due to the fact the game crashes on me after I have done sever advertisement watches to give me a slight boost doing so losses the increases in customers or speeds on department and cashiers. Other then that which there where more similar like games. I have plenty of ideas I think I would love to see, but don’t have quite the expertise to build them my self yet. But would love to see them in a similar design. Great game. This is by-far the most addictive game for me. I just can’t put this game down! But the real thing I want to talk about here is that there are a few problems I have been experiencing. One is where when I open the app to check on my market, the customers are very slow and they sort of glitch slow and fast, slow and fast, repeat. I simply closed out of it and that worked. My customers were going at the regular speed. The second one is the ads. They don’t pop onto your screen which I like! But when I try to watch an add for the idle cash, it just doesn’t work. It just gives me the normal cash instead of it being multiplied. Anyway, the main problem here is a battery eater. This app makes the back of my phone pretty hot and it worries me a bit. Hopefully the team will find out a way to improve or/and fix these three things. Thanks for reading! Though I still play this game (mostly due to the time I have invested) I seem to constantly have an issue with it not giving me the proper amount of money I should be making when out of the game. It only collects for 2 hours after it’s closed unless you purchase the manager but it never gives me the amount that I should be making in that 2 hours which makes it very difficult to level things up once you get to a certain point. It also glitches out often when I watch ads for rewards and I end up not receiving the rewards or the income during the glitch and there has even been times i have lost the amount that I earned while away completely. It’s becoming very frustrating and if I continue to experience this I will most likely get rid of the game. It’s a good way to pass time and is a good concept. If these issues are fixed it would probably be one of my favorites. Update: Bug fixed(ish?) still issues though. The game got fixed, but it still crashes a lot....! Lots of improvement needed there, and also after a certain point it cost ENTIRELY too much money to make profit. In order to get money faster, you need to pay your workers more but the amount of money you need to increase their salary is a) ridiculously high and b) NOT WORTH IT FOR THE TINY AMOUNT THE TIME GOES DOWN. It doesn’t even go down a third of the way. It really takes away from the fun of the game. Also, the cashiers need to be better. The first three are incredibly slow compared to the rest (which isn’t bad cause nobody complain or ends up leaving) but then once you do one of YOUR ADS for adding more customers or just express checkout all the customers lose the ability to act properly? They will legit all go to ONE CHECKOUT LANE while all the others are open causing me to lose money. I’ve only been playing a few days, and I’ve already managed to get almost all the departments built. I have all 8 cashiers, and they’re all fully upgraded. The problem is that cashiers 1 & 2 can only only handle about 1/3 as many customers per minute as cashiers 7 & 8. Under normal operating conditions, this is fine, no lines build up (and the parking lot is fully upgraded too so it’s the maximum number of customers). But when I do the “express checkout” (no waiting time at departments), then the customers become dumb, and form long lines behind cashiers 1 and 2 when there are no lines behind the other cashiers. I would suggest making the cashiers even, so they handle the same number of customers, or improving customer intelligence so they don’t unnecessarily form long lines. I really liked this game, but after awhile the ads just got really old. You can advance fast cash wise...if you watch about 6 ads in 5 min. Someone reviewed that ads aren’t pushed...really? Ads are pushed almost every 30 seconds to get a lot of money from VIP customers, to get a bus of people to spend money, fast checkout, fast customer service..what do you mean ads aren’t pushed when you can’t achieve any of the things listed without them? The ads are freezing or you just get a black screen which then you have to exit the game, come back and you don’t get what the ad was for since it malfunctioned. Super fun game, but not worth sitting through ads CONSTANTLY. Also, USUALLY a game halts for an ad to play, but no...this game continues as you are watching an ad almost a minute long that customers are leaving and you wasted time watching an ad to equal fast service/money...it’s just frustrating. I personally love this game the first day I got it i wouldn’t stop playing it. By the second day I came back on to see all my off time winnings and I went to scroll to my fish station but it wouldn’t move. So I thought it was a minor bug and close the app and reentered and then I realized it wasn’t minor. So I just took my cabanas and deleted the game to fully start over I got back in the game and I got the game back to what I had originally, but it was still frozen I did this multiple time and it still isn’t working. I honestly love the game but think about it you can love something you can do anything with. So please just fix it. I also saw someone else had this problem so I kind of wanted to restate it in case you didn’t see it. I love this game! It’s very addicting; being able to earn in-game currency by just watching ads is great! There is just one thing keeping me from giving this game 5 stars. It seems like the more ads I watch to gain power-ups or gems from VIP’s, the more the game randomly crashes. Now I don’t lose any of my progress (thank God). However, when the game loads back up, any power up I gained from other ads like shopping spree or extra customers from a bus, are all gone. This is very agitating from an otherwise great game. 3/1/19 Edit: I gave 5 stars because with the recent patch, after sending Codigames support an email telling them about the bug, they came out with a patch for it and now it runs smooth. Highly recommend this game! So I basically became addicted to this game over night. I introduced it to my boyfriend and now he’s even in competition with me to see who can get to the next store the fastest. 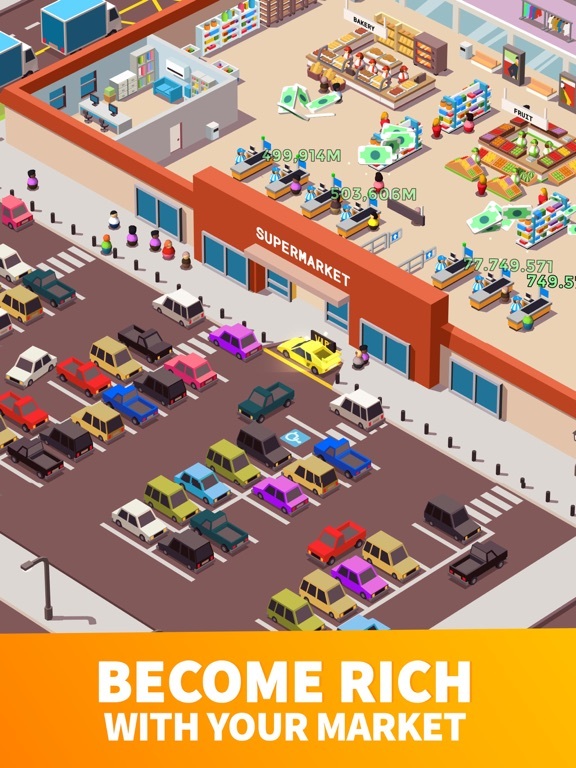 I like this game way better than AdCap (which I didn’t think was going to be possible), Cash Inc, Idle Capitalist, etc. Only reason I gave it a 4 star instead of 5 is because lately the game has been crashing and bugging out on meEsit: so it was fixed! Still going to give it 4 stars because I don’t have any more missions and I’m only at the Bevlery Hills locationWhenever I watch an ad, the game goes sideways and goes black and goes to the home screen. Sometimes it doesn’t even do that, it just crashes. It’s getting kind of annoying because I want to give this game my attention but I haven’t been playing as much because of this issue. This game is really cute and fun. I like that it’s more of a smaller platform then most idle games but it’s still really fun considering it’s the first retail idle game that I have played. The only problem I see is that the different “card offers” (card offers are the bundles that you can buy with real life currency in order to get multiple upgrades at a cheaper cost than buying each upgrade individually) haven’t changed since I have played. I’m already half way through the game as of right now and I’d like more offers or for you guys to change the different “card offers” cause I’m not spending money on the same thing over and over again. Other than the “card offers” it’s a great game and super addicting. Amazing game, just 1 thing. The point of idle Games is to be able to still be able to make some progress in the game without having to actually play the game the whole time. Your supposed to be able to make money while away from the game. But when you are out of this game you barely make any money. The amount of money made when you go back into the game is no where near the amount you should have made according to how much you supposedly make a minute. Especially if you have the 2x multiplier going as well. The ads also don’t work to double your money. You make more money in 5 minutes of actual game play then you make In the maximum of 2 hours of idle game play. Since only way to get more idle play is to actually spend money. It’s horrible. The higher level you get the slower game play becomes. Since you aren’t making barely any idle money it’s very hard to progress in high levels. 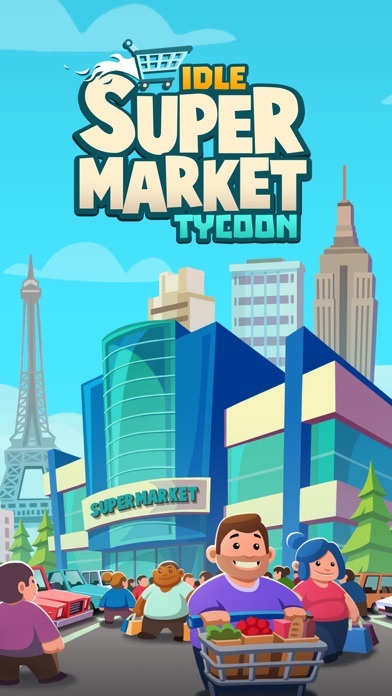 Very fun and addictive game, especially for a tycoon enthusiast. However, your fun will end right around level 6 (depending on your patience). The amount of currency in the game in ridiculous, and so high that it’s difficult to keep track of how much is needed to expand or upgrade. Beyond this, it’s the end of level 6 where progress will slow to a snails pace. All upgrades become prohibitively expensive, along with the ability to buy a new store. For example, I currently need 1 sexdecillion dollars to purchase a new store. However, with a maxed out store and active gameplay, I’m earning maybe 3 quindecillion per 24 hour period. Meaning, if I were to continue at my current pace of play it would take around 333 days (in real time) to buy the next level. How fun and awesome it is! Hi, this game is really fun my friends in my class and from school has this game it’s really fun. I love it and I love how you get money and how cool it looks and awesome it looks. I love it and my friend on the bus loves it because you’ll get to get so much money you are going to be a billionaire. Plus some people really like it because you know the bodies that the people look like but I love everything. Please buy this game and download it there’s no paranormal inside. Plus and it’s really fun and I love it it’s awesome it’s really cute and I love it because you can make your store so so so big. And I hope you download it and get a lot of stars on it because you should comment this game and write a five star on this. Do a five star rating. I spend more time WATCHING ADS than playing the game. I like that we can get frequent upgrades and extra perks watching ads but honestly, it’s gotten to the point where I’m not enjoying the game because I keep having to play ads. I would like the ad perks to remain but we should also have the option to pay with the money we’ve made. Like more customers and faster workers, we can either watch an ad or pay with the money made. SECONDLY. I wish we could still access our other locations like Residential, Small Village, etc. It would be fun to continue profiting and improving old locations and collecting the gold. Sometimes it gets boring being Stuff in one place and we should be able to go back and switch between locations. So the game starts out pretty fun. Earning money. Building, expanding, upgrading. Then you progress to the point where you don’t make nearly enough for any upgrades. So unless you wanna spend real money on gems, you’re basically stuck. This happens about the time when you get to the Beverly Hills store upgrade. Also, at the later levels, the ads will cause the game to crash and it erases all data during that session of game play so you don’t get to keep those upgrades. I ended up getting into the habit of upgrading, then manually shutting the game off, then logging back on so I could ensure I kept some progress without the frustration of it all being taken away the next time the game crashes because of an ad. 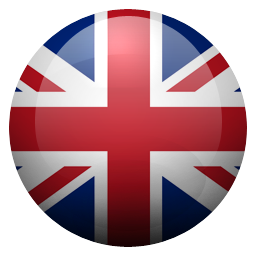 Now you don’t have to watch ads, they are optional, but you need them to earn more money. I generally enjoy the idle game genre. It’s something fun with a low time commitment that you can check in once in a while and see how things are growing. The biggest problem with Supermarket is that you can only obtain 2 hrs of profit unless you buy their manager. Well, I don’t care enough to spend $9.99 so that’s really limiting. Like all idle games, they eventually reach a level where it takes days or weeks to make one upgrade. Fine. But if you can only ever collect 2 hrs of profit over a month (unless you sign in 12 times a day)... forget it. Not rewarding enough to keep playing. Maybe developers thought this limit would keep people returning more often, but it just makes me want to delete. Too bad, bc the graphics were better than other similar games. This app is my favorite game i have played in a long time. everything about it i love. it never makes you watch ads but you can watch ads if you want extra coins, diamonds, etc. not having to watch ads makes me want to watch the ads more to support this game. the only thing is there is a bug after you click out of an ad it will make the screen super tiny but the game will still be on. one similar is the screen going completely black after an ad and will not load back to the game. other than that the game is great! 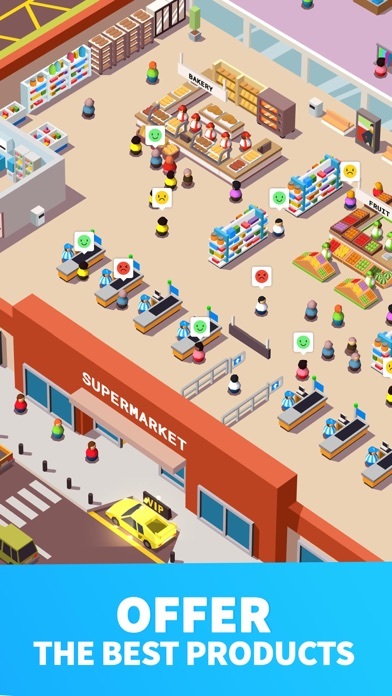 some recommendations would be to add a pharmacy and maybe some health/body care ( soap, shampoo, lotion) stuff like that for new sections of the supermarket. Awesome with a few suggestions! This game is amazing! You can upgrade what you are selling, the parking space and more. It also gives you missions you can focus on. If you want to have a buttload of people, have your cashiers and workers move faster, or earn extra money, you can just watch an ad. They don’t even pop up unless you want to watch an ad. Now here are my suggestions. Can you make profiles for the customers? Like include their names, ages, and grocery list. That would be really cool! 2nd, could you make it where you can put shelves and put certain items like bread on them? 3rd, do you think we could customize the building and floors? Thanks! I’ve played a lot of idle games before, and this is one of the few that isn’t too boring or repetitive. Although you have to start over for every new setting for your supermarket, that is a small price to pay for the funny little descriptions for your items being sold and fun geometric design. However, I would suggest a couple of things to the developers to make the game much more enjoyable and unique as compared to other idle games. For one, I think that this game needs a “multiple buy button” that saves the player the hassle of tapping thousands of times to upgrade their items by allowing the buying of 50 or 100 upgrades at a time. I may just be blind and it already exists, but if not, I believe it would make the game more enjoyable overall. Also, multiplayer events would really incentivize progression in the game, maybe rewarding gems or other exclusive prizes to those who rank highest in the leaderboard or reach a certain level, etc. Overall, this game shows a lot of potential, but a couple of improvements would make the game many times more interesting and fun to play. I’m not one to get hooked on apps, but I like this game a lot. It’s pretty cute. That being said...there are a TON of bugs that need fixed. My game crashed once I moved on to small village with the game connected to Game Center. I couldn’t do anything other than zoom in and out. I ended up deleting the game, disconnecting Game Center, and re-downloading the app. It worked fine up until I got to Beverly Hills. It started to lag. I wasn’t getting money properly from the trucks. My VIP car hardly shows up, if I try upgrading anything with gems it doesn’t work, and if I watch any ad at all - the game completely crashes and it’s like I never watched that 30 second ad. It’s pretty frustrating. I hope everything gets fixed because I do love this game! I’ve been playing for a few days & I love the game! I love the fact that a previous user suggested adding a real daytime and nighttime mode to the game. I love that idea... However, one thing I don’t like is that I am stuck at the Beverly Hills Super Market location. There are no new missions no more cashiers to hire and I have basically done everything I needed to level up. I am still stuck! I have passed the amount I needed for the Paris Super Market location and I do hve the option to buy it! Why not?! I have the funds but I don’t have the option to buy! There is no reason to keep playing the game if there are no missions or nothing else to do in the game. I have basically reached a wall here... if this is not fixed soon, I will delete the game. This is a very fun and addicting game. I’ve only been playing 1 full day and already have a super market in Miami Beach. I think the game does a good job of making it not “too easy” to get the other locations — which is why I keep playing! I really want to get a location in Tokyo! With all that being said, I do wish there was a bit of customization. For example: picking what find of things you’ll sell in the store, placing the different locations around, maybe choosing your own color you want your store to look like, OR AT LEAST NAMING THE STORE SOMETHING!! Other than that, the game is pretty fun. I’d just like to be able to put my own personal taste into the store itself. Thank you for reading. DISAPPOINTED. Hire Manager for 10 hr Earnings when not playing! I’m disappointed. I was loving the game!!! But I decided to do the upgrade to “hire the general manager” for 10 hours of Earnings while not playing. I spent $9.99 on it. $10 FREAKING DOLLARS. That’s crazy to me to be spending on an app. It’s something I totally wouldn’t do but I was so into the game I decided to. But after buying it there’s no difference at all. When I’m not playing, or when I don’t have the app running (no matter if it’s only for 5 minutes or 5 to 10 hours, my earnings do not change at all since the last time I was playing. I really hope it is just a glitch or there is a misunderstanding and that I didn’t just get ripped off. I was really loving the game and so much so that it became my favorite... until this. If anyone can help me understand or help, please do.